This month, we are taking a closer look at one of our new contests for the upcoming year - the “Spot On” - 30-Second Grange Video Commercial Contest. Here’s the creative -- Create a commercial for your Grange that is 30 seconds in length, using the theme “Community Grown.” Think of an idea for a commercial representing your Grange. Make us laugh. Make us cry. Make us say, “Wow! I want to join the Grange.” Make it something you’d want to see on TV. You write it. You cast it. You direct and shoot it. You have total creative control. Here’s a few tips and tricks for making your video rise above the rest. 1.) Plan before filming and create your hook. Start with an outline. Even though the commercial is only 30 seconds, you still need to have a story with a clear beginning, middle and end. When scripting the spot, be sure to have the details on paper prior to breaking out the video camera. Remember to answer the following questions in your 30-Second Commercial: Who are you? What is the Grange? What does the Grange do? How can someone join? How should the audience react? Your HOOK should be the tidbit that makes the commercial memorable. The key is not only giving viewers great information, but it’s engaging the them, and asking the right questions. Be quick and get to your point. 2.) Is it the end or the beginning? Expert film makers use this trick all the time - use the end of the story at the start of the video. 3.) Remember your location. In the movies and on television, you may see the camera zooming in on the outside of the building first, before cutting to a scene that happens within. The viewer will not necessarily know the shooting location, such as the inside of your Grange Hall. Mix up your shots with landmarks that tell the audience where you are. 4.) Avoid zooming in and out too much. Most digital camcorders come with zoom features. Using the zoom is good in limited quantities, but don’t get carried away. And when you do use the zoom, make sure it is slow and well-controlled. The output will look more professional. 5.) Importance of lighting. Nothing spoils a video as much as poor lighting. Remember to always shoot with the light behind the camera, shining on the subject. Never shoot into a window. 6.) Change your perspective. Don’t limit your shots to one type, such as someone sitting in a chair, or only one angle. Approach your subject from all angles such as behind or from the top. Perhaps you can even film yourself walking up the steps and opening the door to the Grange Hall before reaching your subject inside. You can also include photographs in your video. Take the time to make sure you get multiple versions of each shot so that you have options when you’re editing. 7.) Keep it steady. We’ve all seen home movies where the camera shakes so much it gives the viewer a headache. There are a couple of ways to remedy this situation. Use a tripod or unipod or brace yourself against a solid surface - like a wall. Another trick is to stoop down onto one knee. 8.) Don’t forget about the sound. You may be so caught up on filming the perfect moment that you forget about the sound. It never hurts to have an extra microphone for sound focusing which results in better audio quality. Keep in mind, you can always add in clear audio as a voice-over after the fact during the editing process. 9.) Watch and learn from the pros. Take note of ads on television and how they are composed. When watching your favorite movies and television shows, look for the angles of the shots, and compositions used. You’d be surprised how much you can learn about shooting video from watching others. 10.) Get people involved and make it fun. Even the greatest athletes in the world can’t do it alone. Make creating your video a fun and memorable experience for everyone involved. When you involve others, you have access to more knowledge, more ideas, more enthusiasm, and more resources. Members will support the project if they have a hand in creating it. They need to know that their contributions count and that their input is valued. Don;t forget to include everyone who participated in the closing credits. The script is written, the members performed their roles to Academy Award standards, and all the footage is shot - now what? Next comes editing. There are a number of software packages available for both Mac and PC computers for editing digital video. The top two come standard and are free on most computers - Microsoft Movie Maker and Apple’s iMovie. Microsoft Movie Maker comes pre-installed on newer computers that are running Windows XP or newer. Movie Maker has drag and drop features to make creating and editing your movie easier, and has many add-ons available for special effects. This program is considered one of the best free video editing software programs available for the PC platform. For Mac enthusiasts, Apple’s iMovie is comparable to Windows Movie Maker. The software is part of the iLife suite of programs, which is free when purchasing a Mac. It also has many advanced features and add-ons available. This is one of the best free video editing programs available for Mac users. People are watching 2 billion videos a day on YouTube and uploading hundreds of thousands of videos daily. In fact, every minute, 24 hours of video is uploaded to YouTube. 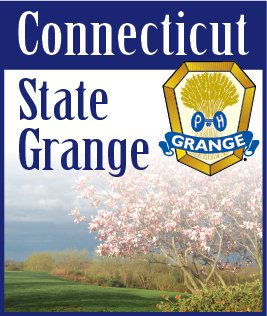 Video is a powerful way to showcase your Grange’s impact and needs.